The Chrome/Black Visor & Bug Deflector Trim is a great way to customize your car and cause it to stand out. 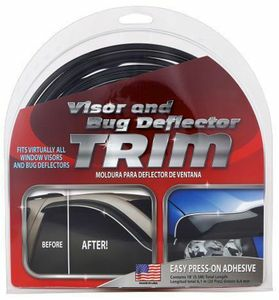 It fits virtually all window visors and bug deflectors. The trim is easy to install using an easy, press-on adhesive.